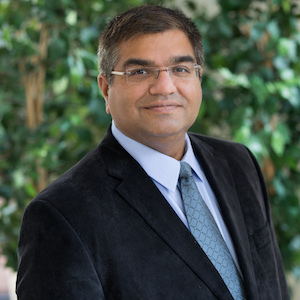 As a Realtor licensed in Massachusetts, Sandeep provides strategic marketing and transaction management services to his clients across many Boston neighborhoods. His business is built on dedication, communication, determination, and trust. By keeping his finger on the pulse of the latest trends of the Boston real estate market, Sandeep is able to offer his clients top-notch guidance ensuring the entire process is seamless, efficient, and rewarding. Specializing as a first-time home buyers agent, Sandeep has a vast knowledge of the greater Boston area & suburbs like Lexington, Belmont, Winchester, Arlington, Burlington, Concord, Newton, and Waltham. Sandeep is comfortable navigating both in the urban and suburban markets. He has long admired the Boston’s feel and architecture. Now, he’s thrilled to be a key player in that process, which he considers to be both privilege and responsibility. Prior to joining the world of real estate, Sandeep was a successful entrepreneur in the retail food industry and worked at some major food establishments in a senior role. He became an expert in figuring out how to provide customers with what they want and need. It starts with fully understanding each customer and then finding creative ways to fulfill their needs. Many of his previous skills translate to his work as real estate agent at Compass. By treating his clients’ needs and wants as his own when searching for the perfect property, he can secure them the best home. Born and raised in India, Sandeep received a BA in Accounting from Delhi University & Masters in Hotel and Restaurant Management from Lausanne, Switzerland. He has lived in four different counties in the last 18 years and worked with varied communities during his travels. He is fluent speaker of Hindi and Punjabi. Sandeep lives in a suburb of Boston in Lexington since 2012 with his wife Shilpi, and his two sons, Arnav and Viraaj. In his free time, Sandeep likes to play tennis, bike and travel different countries.